The Olympic Games is undoubtedly one of, if not the biggest sporting events in the world, taking place every four years at a major city from across the globe. With the 2016 Rio Olympics having been a huge success, more and more betting customers are seeing the famous competition as the perfect platform for wagering upon athletes involved in a wide range of different disciplines. 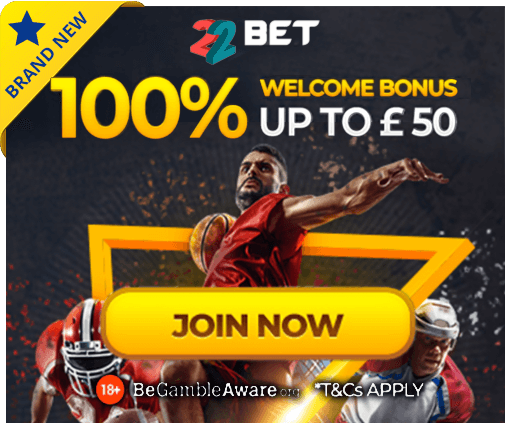 With a huge amount of markets available, each containing attractive looking odds, there is certainly never a time when customers are left without any sporting action to bet on. Despite the next Olympics not being held until 2020 in Tokyo, there has never been a better time to familiarise yourself with betting in this area, with the event providing a huge amount of potential in terms of winnings. Our Olympic betting guide is the perfect platform for you to brush up on your knowledge regarding betting on events including the 100m sprint, triple jump, marathon and football, all of which are now mainstays of the world’s biggest sporting competition. Whether it be the type of bets that are available, odds offered, available platforms or how to make money, we have all bases covered in our detailed Olympic betting guide. With the United Kingdom having finished third and second respectively in the last two Olympic medal tables, the attention on the Tokyo games is likely to be even greater as a result. However, with athletes coming together from all corners of the globe in the hope of collecting a medal, there really is an almost endless number of opportunities when looking to wager on events. What Markets Are Available During the Olympics? Away from these more long-term markets, the first day of the games will see a variety of different markets open up, with events such as the Men’s 100m sprint, 4x100m relay, tennis singles and swimming among the most popular over the years. Major bookmakers will also cover all other sports in which you could potentially require, from archery to table tennis and from football to rhythmic gymnastics. As well as this, customers will also have the option to be in-play surrounding certain events, meaning that you can back an athlete or team to come back from a losing position to claim a medal, which often brings about much more appealing odds as a result. However, you will have to be quick in certain events, with the 100m final being completed in under ten seconds! Now let’s take a more detailed look at some of the most popular Olympic betting markets, with some being offered in more depth than others. The Olympic Games is certainly the biggest sporting celebration on earth, with people coming together to revel in the glory of others. However, for those looking to understand the feeling of gold medal winning athletes, placing a winning bet on the action might just get you close. From the 100m to the shot put, track and field events at the Olympics are undoubtedly among the most popular, with millions of people tuning in from around the world to catch a glimpse of their favourite athletes. However, as well as medals and world records being up for grabs, the potential for betting in this area is also substantial, with odds available on everything from the high jump to the 10,000 metres and from the discus to the pole vault. With individual events for both male and female athletes, track and field events are the highlight of the games for many. Despite the World Cup, European Championships and Champions League dominating the footballing calendar, Olympic football has grown dramatically over recent events. Hosts Brazil were the winners back in 2016, with squads made up of players aged under the age of 23, as well as a certain number of wildcard entries. As with any normal football match, customers are free to bet upon the full-time result, first goalscorer, clean sheets, yellow cards and number of corners, as well as the medal positions and overall winner. Although the game’s greatest players do tend not to feature do to other commitments, Olympic football is certainly a great market for punters. Cycling, whether it be inside the velodrome or out on the streets, is undoubtedly one of the most thrilling and exciting events to watch at the Olympics. So, what better way to add to the excitement than by placing a bet on the winners of a race. Customers are able to back which country will be the most successful, as well as the individual winners of races, and with British cyclists having enjoyed a stellar time at recent games, this is certainly one for UK fans. Similarly to cycling, swimming produces some of the most exciting moments in the whole of the Olympics, with just a matter of inches sometimes separating the winners and losers. With both individual and team races, some can be over in a matter of seconds, while others go on for minutes, adding to the excitement. Bookmakers normally put a large amount of emphasis on swimming at the Olympics, partly due to the fact that they are often some of the first medals to be one at the Games. Anyone who watched Andy Murray win a gold medal for Great Britain at London 2012 will know just how exciting Olympic tennis will be. The game has a different feel to it when medals are up for grabs, with the world’s leading names from both the men’s and women’s game battling it out for top spot. As with many tennis tournaments, customers are able to bet on the winners of individual matches, the correct score in sets, medal positions and overall winner. In-play betting is also well worth taking advantage of when it comes to Olympic tennis. While the Olympics is undoubtedly one of the greatest sporting events in the world, attracting the attention of millions, for those of you who want to win money throughout the two weeks, it is important to follow certain rules. The following are just some of the areas in which we believe will help you to place successful bets, with your potential returns depending on the bookmaker selected. While events such as the men’s basketball final, 100 metres and tennis are perhaps the most enjoyable to watch, they are not Olympic markets that offer particularly attractive odds at online sportsbooks. With bookmakers now putting a large amount of work into creating markets surrounding such events, there are unlikely to be any mistakes in such flagship disciplines. However, some of the less popular events are unlikely to receive the same amount of care, meaning that customers can take advantage. So rather than looking at the major Olympic events when looking to beat the bookmakers, select a few sports, before carrying out plenty of research on them. Whether it be the marathon, shooting or canoeing, keep an eye on the competitors in the build up to the Games, before backing your favourite come game time. As with any sporting competition, the majority of punters who place unsuccessful bets have done so as a result of not putting enough time and effort into their research. Bookmakers are never likely to make things easy for you, so ensuring that you are equipped with the relevant knowledge before placing a bet is vital. Whether it be understanding the rules of Taekwondo or knowing the defending champion in the hammer throw, be sure to know your market! Of course, the Olympics has made a name for itself in part due to some of the biggest upsets and surprises in sporting history, which is part and part of betting on any sporting event. However, researching your potential markets before and during the Olympics is crucial for those looking to win money come the time of the closing ceremony. With some 33 sporting disciplines making up the programme for the 2020 Games in Tokyo, it is impossible to be an expert in all areas. As a result, we recommend selecting three or four events to bet on, before ensuring that you know them inside out. Whether you already hold an interest in a particular event or whether you have simply been attracted to a market due to the odds provided by a bookmaker, resist the temptation to bet on random events. On days when none of your chosen sports are being competed in, use your time wisely in researching bets and potential winners.